Join us for the Singletracks Ride-n-Rally at Mulberry Gap, March 23-24, 2019. Reserve your spot for mini-clinic early! Sweet gear from Club Ride Apparel and more brands TBA + get some new Singletracks merch! FREE local beer (TBA) both days! 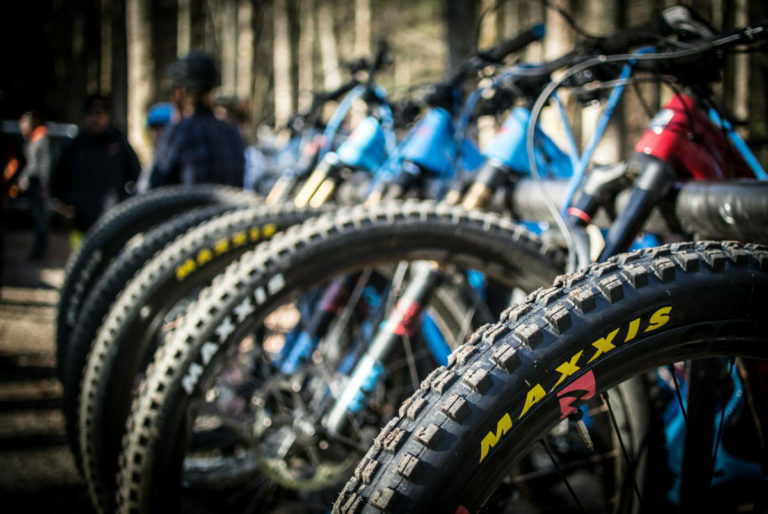 Supa-cool gear up for grabs from Five Ten, Club Ride, Handup Gloves, Maxxis and much more! 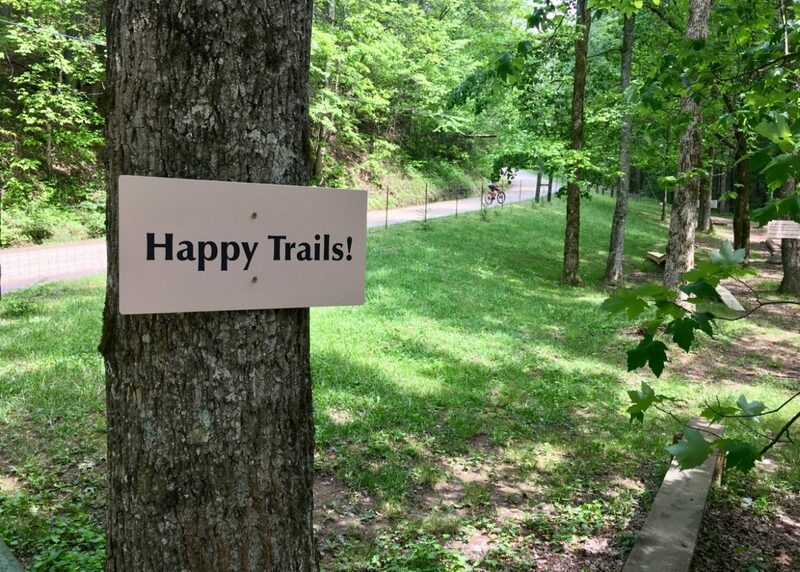 Book a campsite or cabin at Mulberry Gap – lodging and breakfast not included with event ticket. Parking (please carpool if you can! ), rest rooms, and wi-fi access are included. Showers are reserved for lodging guests only. 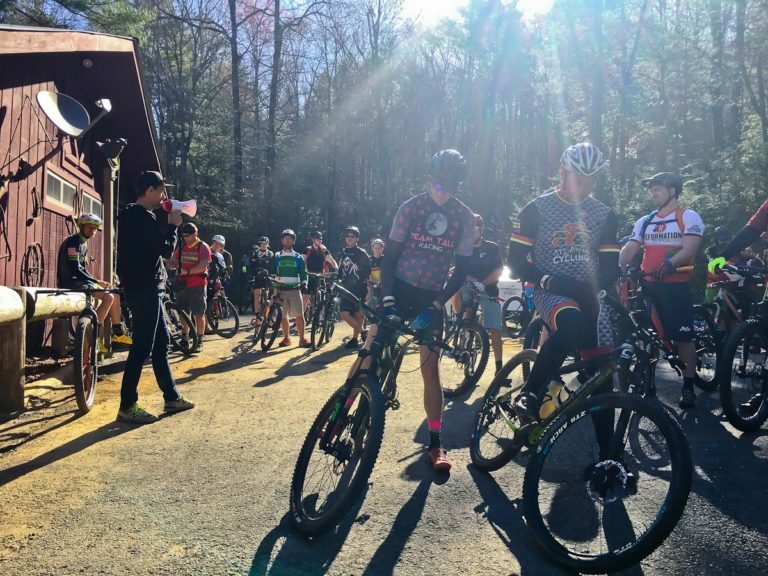 Space is strictly limited to 74 riders each day, so sign up today! 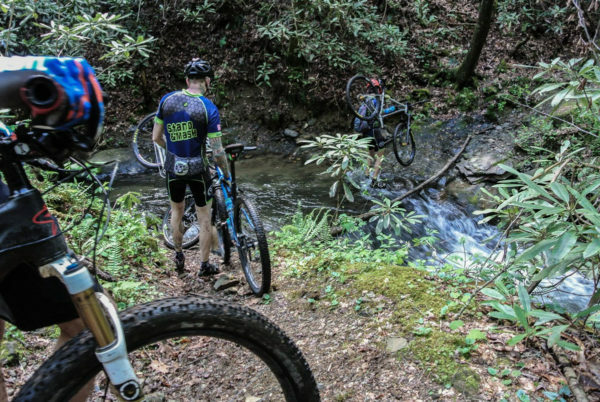 For the “ride” side of the Ride-n-Rally, Singletracks has hand-picked five different ways to experience the incredible mountain bike trails in the Chattahoochee National Forest at your own pace. 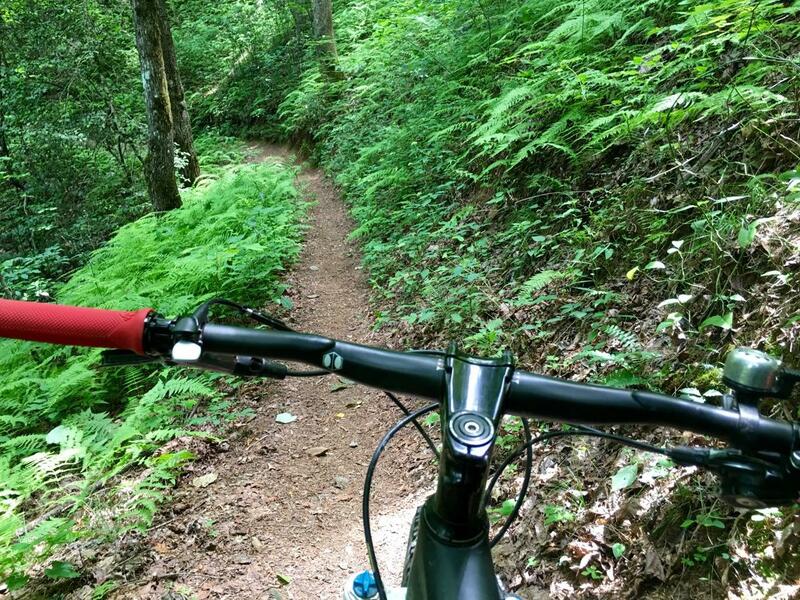 Rides are open to anyone; all registration fees go toward services provided by Mulberry Gap. 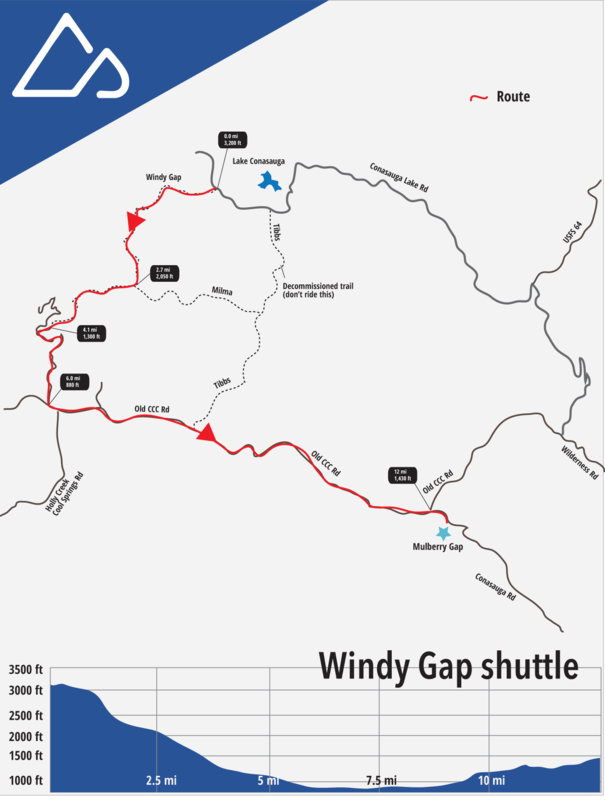 Windy Gap is a trail that drops about 2,400 feet in just four miles. The first part of the trail is tight, technical, and pedally as the trail hugs the side of the mountain before opening up with steep rollers and wide-open sight lines (when the trail doesn’t vanish below the horizon!). 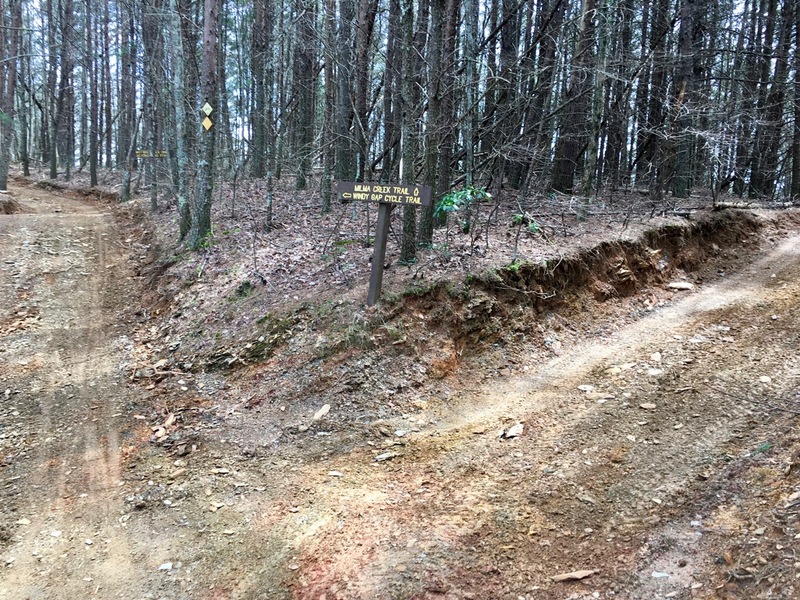 About half of the 8.5-mile gravel and paved road return to Mulberry Gap is flat to downhill, while the final 3-4 miles climbs 600 feet on gravel roads. Shuttle offered on Day 1. 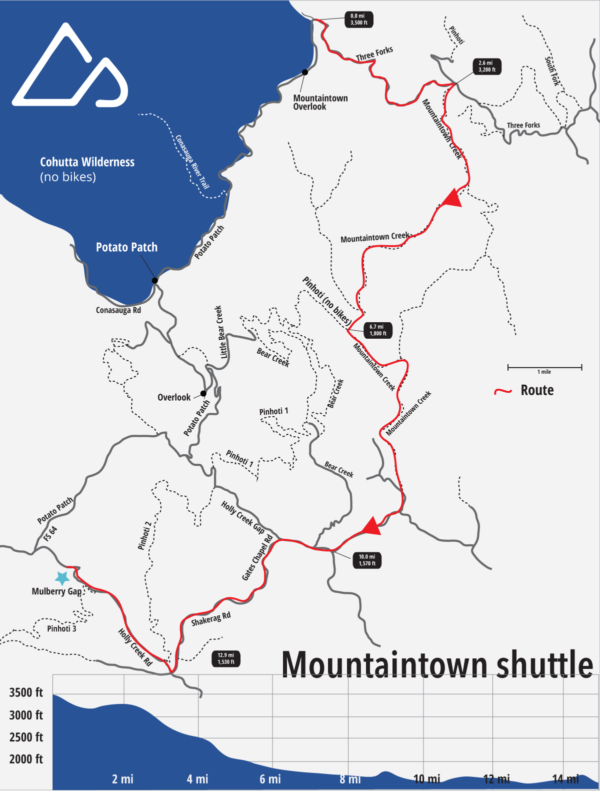 Plan for about 2 hours from the time of the shuttle drop to being back at Mulberry Gap. Mountaintown Creek is a remote singletrack trail that descends roughly 2,000 feet in four miles down a secluded ravine for a true backcountry feel. 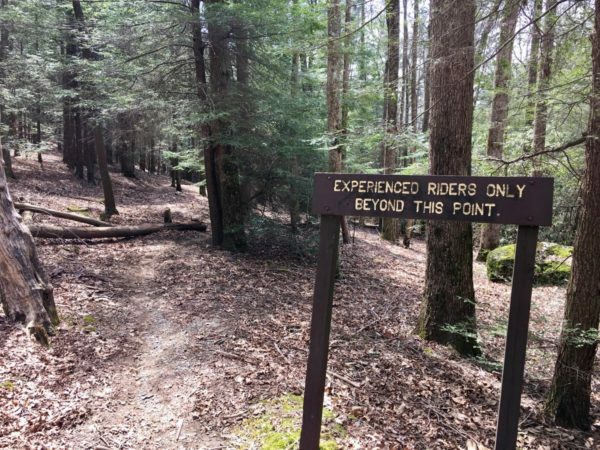 Few ride this trail due to its remote nature and the necessary gravel road climbing, which makes this an excellent trail to shuttle! As riders descend, the countless creek crossings get bigger and wider while wildflowers dot the path in spring. 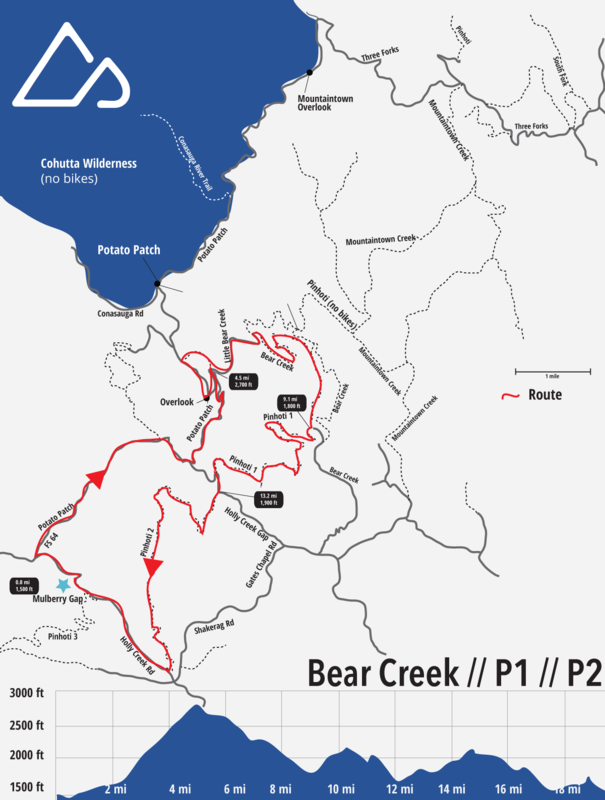 Riders will then pedal a relatively mellow 6.5 miles back to Mulberry Gap via gravel roads. Shuttle offered on Day 2. Plan for about 2 hours from the time of the shuttle drop to being back at Mulberry Gap. 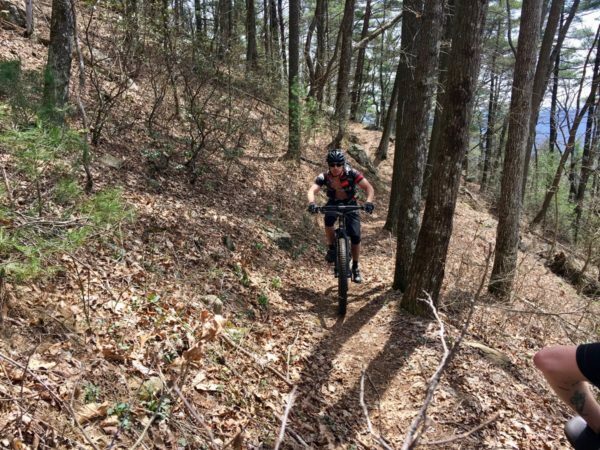 This 20-mile route starts at Mulberry Gap and takes riders up Pinhoti 3, a narrow singletrack climb to Highway 52. The route finishes with one of the newest singletrack sections of the Pinhoti for a shuttle pickup and return to Mulberry Gap. Space is limited so sign up early. This ride should take most riders 3-5 hours to complete and is only being offered on Saturday, March 23. This is the classic Mulberry Gap loop that first-time visitors will want to experience. 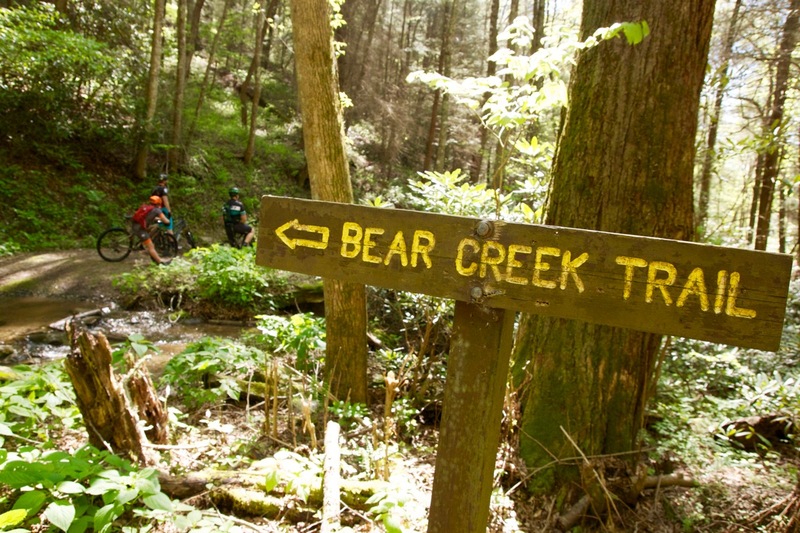 A reasonable gravel road climb takes riders to the start of the Bear Creek singletrack which descends to the intersection with Pinhoti 1. The singletrack along Pinhoti 1 and 2, punctuated with climbs and descents, is some of the finest in the state. 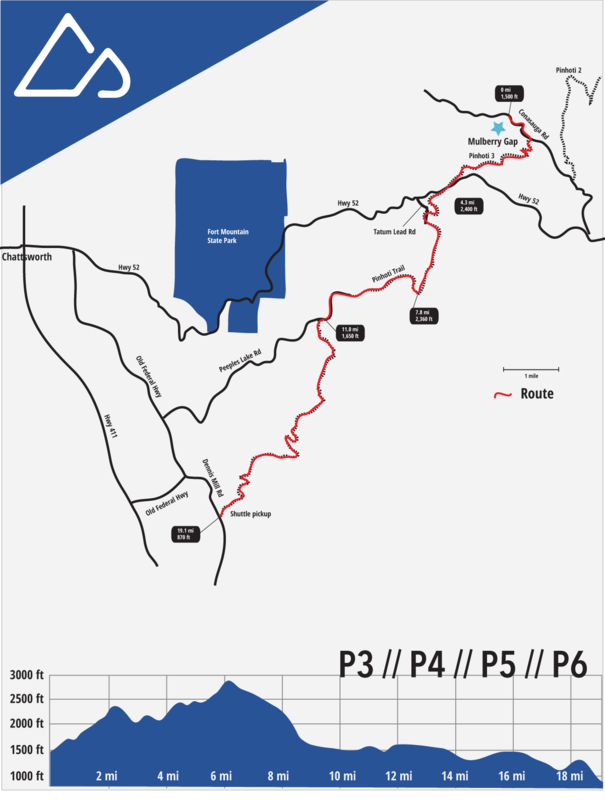 Most riders will take between 2 and 4 hours to ride this loop. 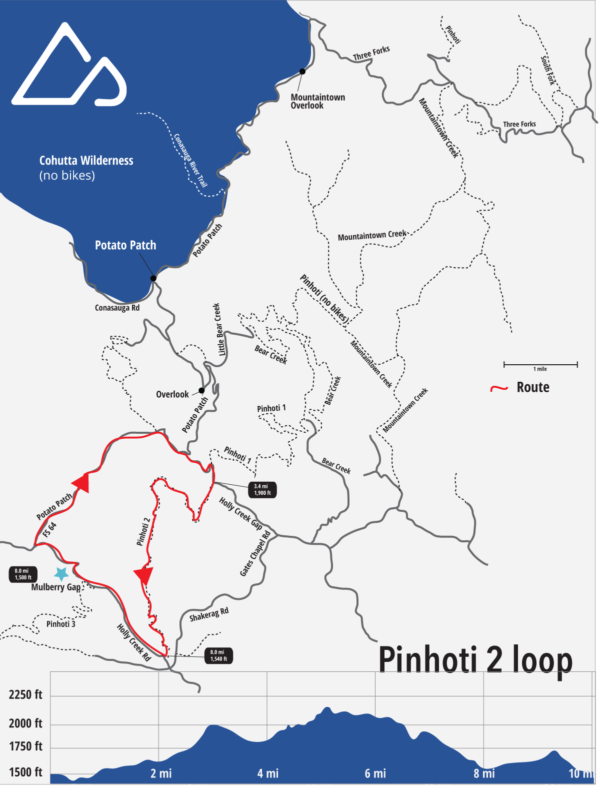 For those who are looking for a shorter ride, or those who are new to singletrack riding, check out the Pinhoti 2 loop. 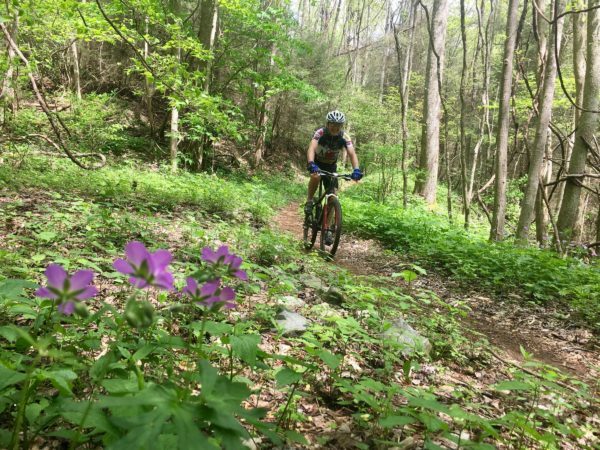 This 10-mile loop features a gravel road climb while all but about a mile of the trail portion descends. 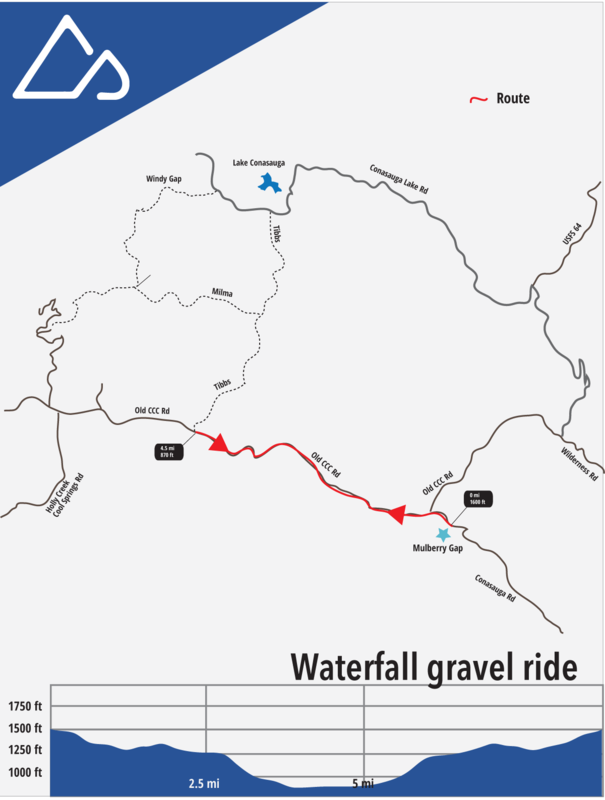 Depending on fitness and experience, riders should expect to spend about 2 hours completing this loop. This is a great recovery ride and a chance to give gravel a try. 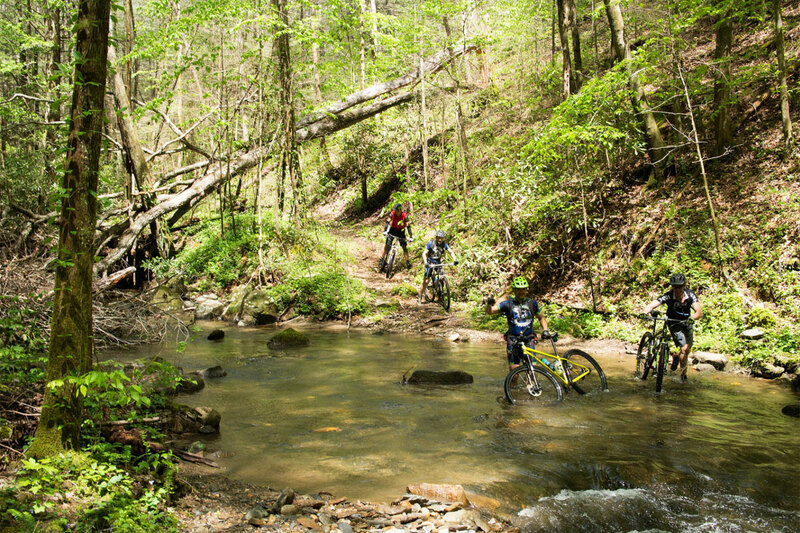 The route descends on gravel from Mulberry Gap with streams, cascades, and swimming holes along the way. 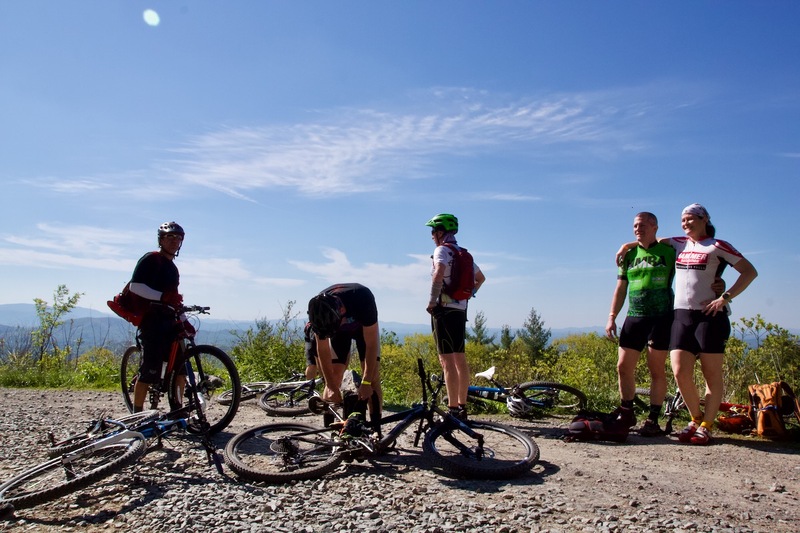 Stop at the turnaround point where the road turns to pavement and dip your toes (or your whole body!) 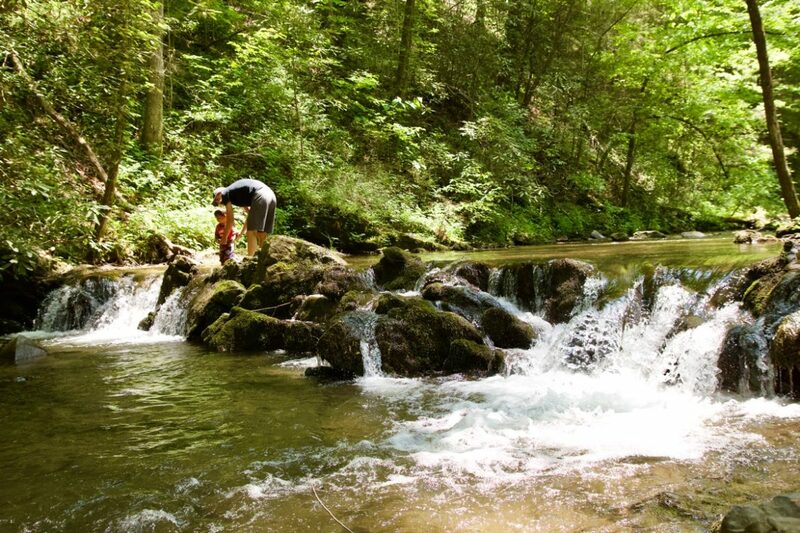 in Holly Creek before climbing back up the gravel road to Mulberry Gap. About 9 miles round trip with 600 feet of climbing. 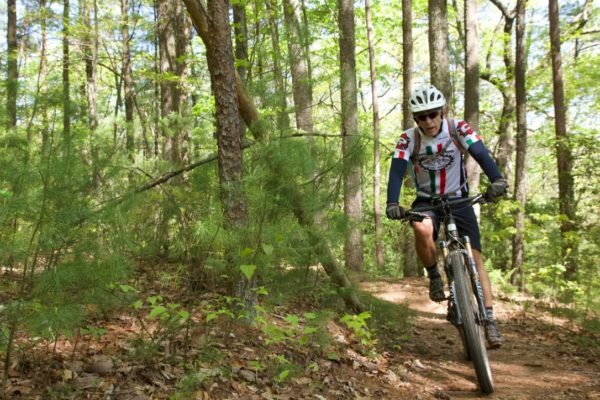 Fast riders can do this out-and-back in less than an hour. Ninja Skills Coach Cory Rimmer (pictured, photo: @_cory_rimmer_) and Matt Ciancia will get you riding like a Ninja! 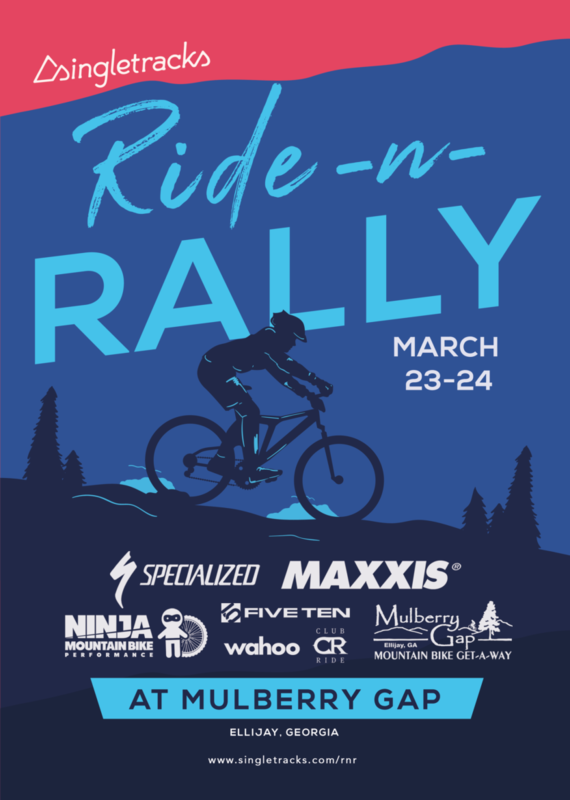 What are you waiting for, book your lodging for the Ride-n-Rally weekend! 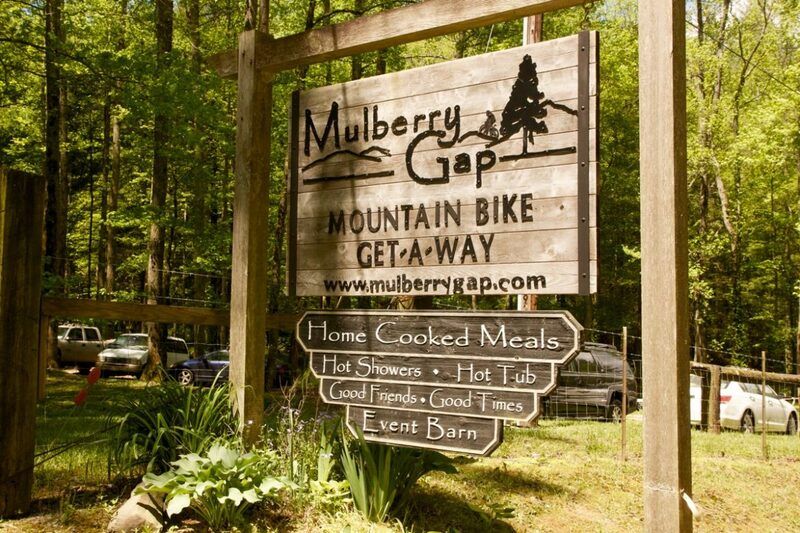 See you soon at Mulberry Gap! JT and Weege join Steve Matthes to talk about lime, San Diego SX, ET, AC, and we also have a mini 250SX East Region preview. His status for round six in Minneapolis this Saturday will be determined at a later date.